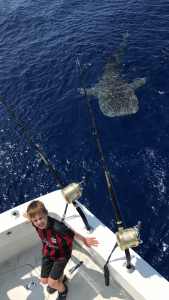 Baby Whale Shark Amazing Encounter with Baby Whale Shark in Kona Hawaii as the Crew and guests aboard Fire Hatt were on a family fishing trip this past week. 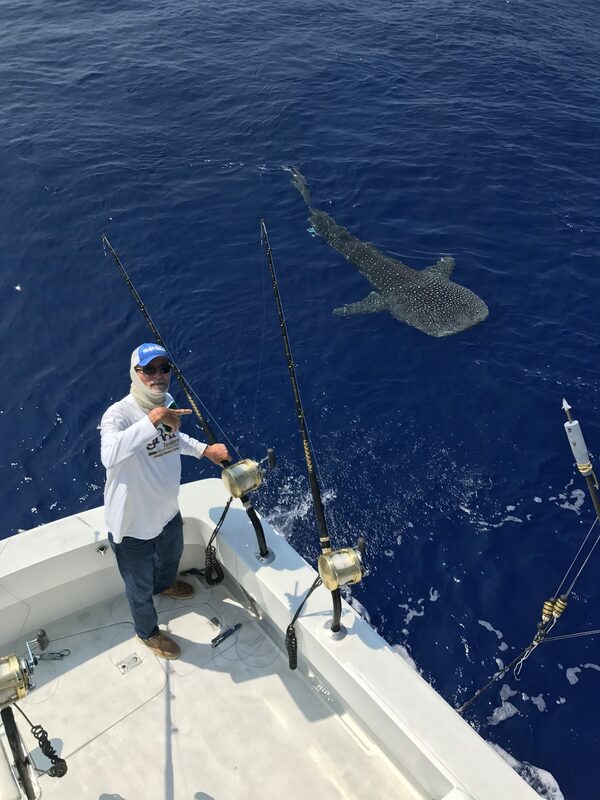 Captain Joe Shoemaker spotted this beauty and was able to pull in all the lines and drift along with this Baby Whale Shark. This is only the second time in our history that we were able to witness this wonder. At one point the baby actually kissed the bow of the boat. 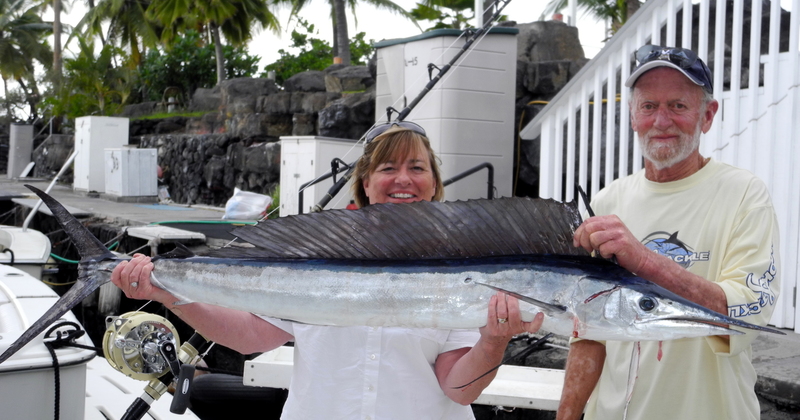 We are constantly amazed at the wonders of the mighty Pacific Ocean! 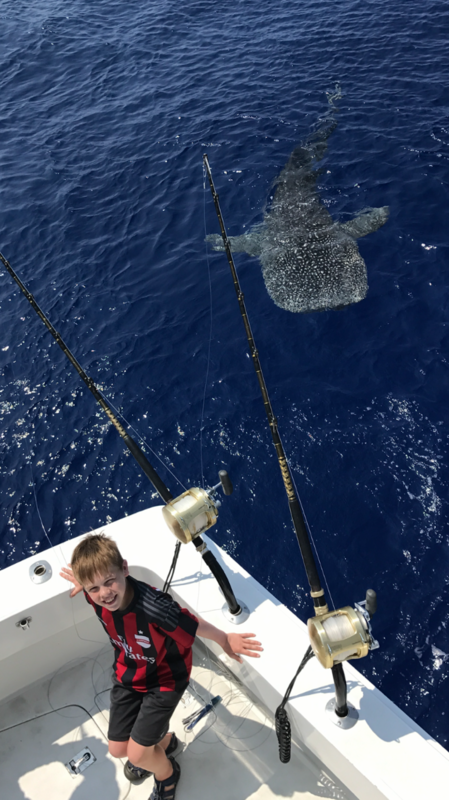 Whale Sharks are the largest fish species in the ocean, but the majestic gliding motion of the whale shark is, scientists argue, an astonishing feat of mathematics and energy conservation. Data shows that whale sharks are able to glide without investing energy into movement when descending, but they had to beat their tails when they ascended. 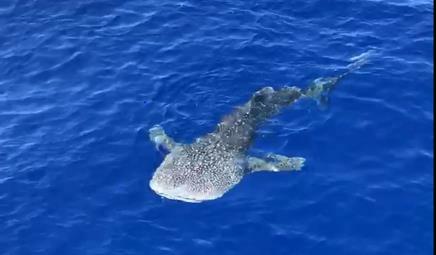 This occurs because sharks, unlike many fish, have negative buoyancy.